Scottish Parliamentarian Martyn Day on Monday took to Facebook and recalled his experience watching Pazassiraja, the 2009 Malayalam movie, regarded as one of the greatest Malayalam movies of all time. Day , in his Facebook post recalls the experience of watching the movie which portrays the earky independent struggle of a small province of Kerala from the mighty British which unfortunately isn’t mentioned much in history and is looking for a biography of the same. 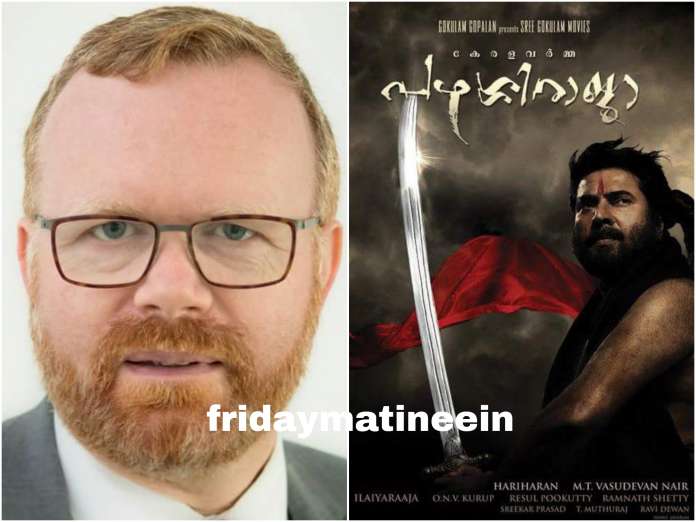 Martyn Day , calls Megastar Mammootty as the Giant Face of Malayalam cinema and remembers watching his earlier movie made on the life of Dr.Babasaheb Ambedkar which won Mammootty his third national award. Day promises to watch more Mammootty movies and feels Keralites are proud to have made a movie in their own language and has a great star in Mammootty portraying the warrior Pazassi Raja in lead. Pazassiraja , which released on 16th October 2009, had broken several box office records upon its release was considered to be the Highest Malayalam grosser untill 2013.The satellite and audio rights were also sold for record price to Asianet in 2009 speaks volumes about the movie. The movie won several national and state awards. Mammootty like always is bringing more colours to Malayalam industry. No wonder why he is called ‘The Face of Indian Cinema’ by the greats.